You can try out our 9A0-150 exam and latest HP0-Y33 to get high flying success in final 70-401 and cvoice.Our cisco 642-982 is also very useful tool. How could the ancient Egyptians have adored the loathsome snake? First a distinction must be made between symbols and things symbolized. The snake- specifically the cobra snake -was the symbol of one of the most important Egyptian gods. This almost constitutes a definition of idolatry, but never mind; the prejudice against the belief in idols is a modern judgment. We have seen winners of the Academy Award stroke and kiss the Oscar. We may overlook the hint of idolatry with the understanding that it is not the statue which is the object of attention, but what the statue stands for. In a like manner the Egyptians overlooked the implied worship of dangerous snakes as show. What, then, did the cobra of Egypt represent that made the snake cults acceptable to them? It is important to note that the most venerated of the Egyptian gods was Ra, and that he was symbolized by a man-like figure crowned with the sun disk, surrounded by a serpent. 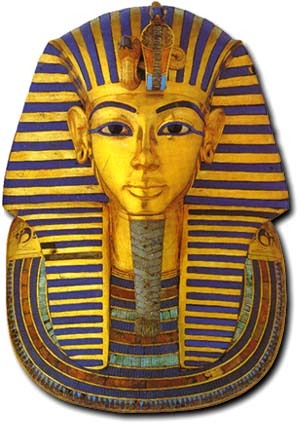 This symbol, in turn, was venerated as Uraeus. What has been overlooked in the popular interest in things Egyptian is the relationship between the Uraeus and Ra. For reasons which will become clearer, this minor deity may be understood as the offspring of Ra, much as the Greeks had it that Athena was born from the forehead of Zeus. The wide acceptance of the importance of the cobra in the pantheon of the Egyptians can be seen in the common application of the cobra to the foreheads of statues of Egyptian royals and on burial sarcophagi. The cobra seen upon statuary is known particularly as Wadjet. This name, however, blends over the millennia of Egyptian civilization with Isis, via the intermediate name Ua Zit, meaning "supreme queen," through Au Set, and back again into Isis. What matters for this discussion is the devotion of the Egyptians to a female deity, and what that tells about their beliefs surrounding generation. While a Goddess is worthy of respectful devotion, the cobra enjoyed a familiar devotion which would seem inappropriate to a woman-like deity. A distinction must be made between the goddess-as-adult and the goddess-as-child. The Uraeus represented the infant goddess. This situation is analogous to the devotion Hindus give to Krishna as an adult man, for example as he appears with Arjuna in the Bhagavad-Gita, contrasted with the infant Krishna of popular devotion. It is difficult to adjust to the contrast in the Egyptian pantheon given the sense of the timeless in which Egypt is steeped. It was observed by hieroglyphic scribes that children consistently utter the sound "ooh" when shown infant animals, and especially fluffy baby chicks. The symbol in this way functioned as a mnomic device for the reading of hieroglyphic inscriptions. 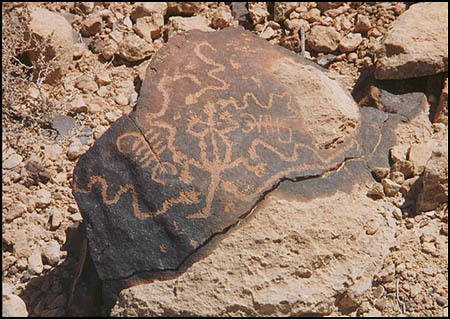 The name Uraeus would therefore be written by the addition of a quail chick glyph to the sun disk glyph -- which is a circle. Because Uraeus was a proper noun it enjoyed the unique hieroglyph of the sun disk encircled by the cobra symbolizing the hatchling of the sun. Broken down into parts, Uraeus consists of "oo" (hatchling) and Re (Ra), with an ending to soften pronunciation. 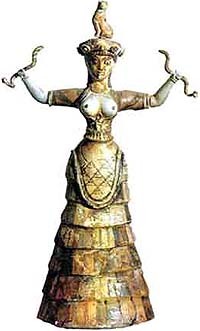 While the cobra is indeed terrifying in reality, it is an appropriate symbol for the daughter of the solar furnace. Beneath the supreme presence of the sun, in turn, the cobra is diminutive. The terrible cobra is reduced to a poor little thing beneath the ferocious glare of the sun, and pity easily leads to compassion, while the cobra is no mere chick. It was given special devotion, by special adepts of the cult, and was not a plaything. It is critical to identify the devotional aspects of the cobra goddess in her multifarious expressions. Not all snakes were deemed holy by the Egyptians. The deadly cobra nonetheless was a source of admiration to the Egyptians, the way it reared up, poised to strike. It was by this act that the cobra reminded the Egyptians of the sun itself, the way the sun arose every day at daybreak, like the cobra. The inscription reads: "Thy heart is glad the Uraeus rises before thee." from the Negev region in Israel's Southern desert. Moses responded and said: "But they will not believe me and they will not heed my voice, for they will say, 'God did not appear to you.'" And God said to him: "What is in your hand?" God said: "Cast it on the ground." And he cast it on the ground, and it became a snake, and Moses fled from it. Isis is a Greek translation of the name Aset or Au Set or Ua Zit. Her brother was named Au Sar, which was translated as Osiris. There is some evidence that lower Egypt (in the north) worshipped the cobra goddess (Ua Zit) supreme, and upper Egypt (in the south) the vulture goddess (Nekhebt) in the pre-dynastic period. There were also many local deities. The cobra and the vulture symbols can be seen all through Egyptian history in the crowns of the rulers. The Ophites made a very special cult of these reptiles: they kept and fed them in baskets; they held their meetings close to the holes in which they lived. They arranged loaves of bread upon a table, and then, by means of incantations, they allured the snake until it came coiling its way among these offerings; and only then did they partake of the bread, each one kissing the muzzle of the reptile they had charmed. This, they claimed, was the perfect sacrifice, the true Eucharist. "We venerate the serpent because God has made it the cause of Gnosis for mankind. Ialdabaoth (the Demiurge who was the 'god of the Jews') did not with men to have any recollection of the Mother or of the Father on high. It was the serpent, who by tempting them, brought them Gnosis; who taught the man and the woman the complete knowledge of the mysteries from on high. That is why [its] father Ialdabaoth mad with fury, cast it down from the heavens."